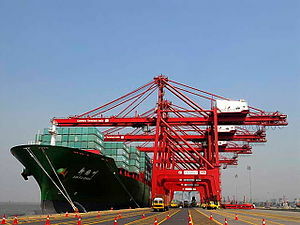 Ship Brokers are involved in seaborne trades for global shipping industry. Ship broker’s job is to mediate between the ship owners and chartering company and they are specialist in negotiating and mediating. Ship broker’s job also includes arranging ships for ocean transport of general commodities on behalf of charterers and employing ships for the trading on behalf of owners. Ship brokers arranges complete business for sale and purchase of ships, brokering job work for dry bulk cargoes, oil tankers, Mini Bulk carriers, etc. Brokering of containers is also done by ship brokers. Spot and time charter of ships / tonnage, negotiating ocean freight at maximum for ship owners and next to possible charterers freight idea is specialty of ship brokers. Negotiation for ocean freight and getting regular cargo for ship owners and maintaining regular business terms with charterers / exporters along with ship owners is also managed by ship brokers or ship brokerage firms. Keeping proper records of ships, clients, charterers and having regular follow ups is taken care by ship brokers. Before joining as ship brokers, every candidate holds proper knowledge in commerce, developing relationship etc. Their previous work experience makes them expert and skilled for handling all types of clean and dirty products or commodities. The ship brokers also equipped with proper negotiating skills with owners as well as charterer. Computer savvy and communicating power both in written as well as verbally along with excellent knowledge of commerce makes ship brokers expert in their ship brokering job. Shipping coordinator is skilled professional and possesses proper knowledge of organizing and administrating. They prepare routing, monitor ships, issuing instruction to ships, resolving problems in delay, tracking of goods etc. Preparing shipping invoice and costing for customers is also managed by shipping coordinator. They also are engaged in negotiating with insurance companies and covering targeted profits margins for company. A shipping coordinator is well skilled in negotiating and facing customers, familiar with accounting, expert is communicating through verbal and written mode, and must be possessing degree standard qualification or will have past experience in maintaining relation with customers in Shipping Industry. Complete knowledge of computer for documentation and communicating is their added advantage. 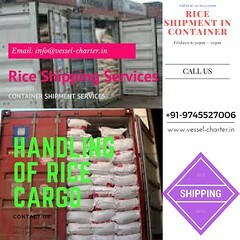 For you best shipping services on domestic and International shipping, arranging ships for your cargo, and ocean freight option, contact us for chartering ships from reputable shipping companies with regular sailing to all major ports around the globe. 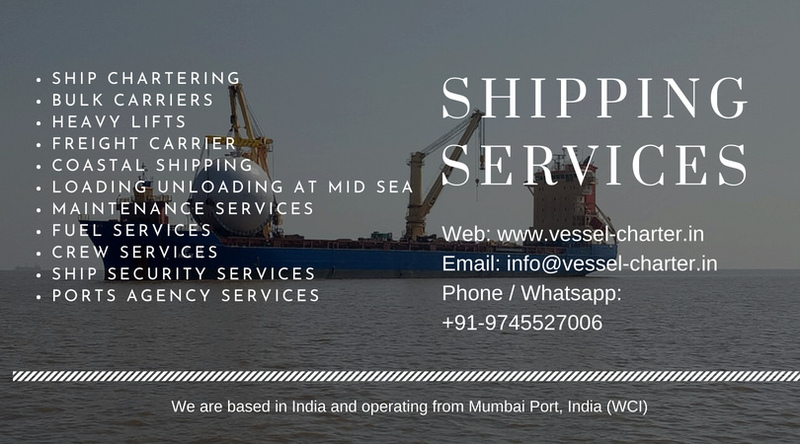 We are active ship brokers and committed to provide best shipping services by arranging ships for all types of cargo directly from owners office. Multiple shipping options are available for dry bulk cargo from any safe port to worldwide safe port. Our shipping services are cost competitive and reliable. The carrier shipping options maintain regular sailing frequency, routing and transit times. Our service includes ocean freight options, over dimension cargo (ODC), Project Cargo, Break Bulk Cargo, Vehicles and equipment transport (RO-RO Vessel) and coastal shipping.